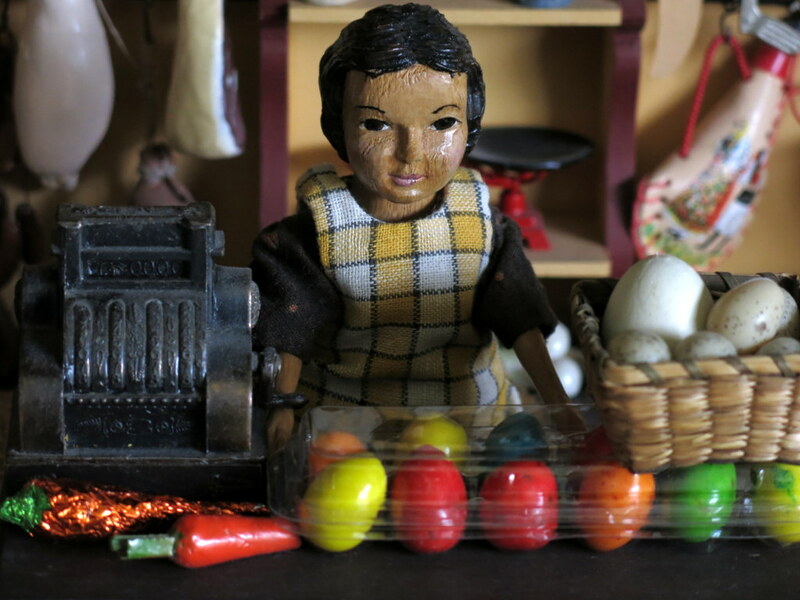 Gracia has brought in some seasonal eggs…. Jane wonders how her baking will turn out. 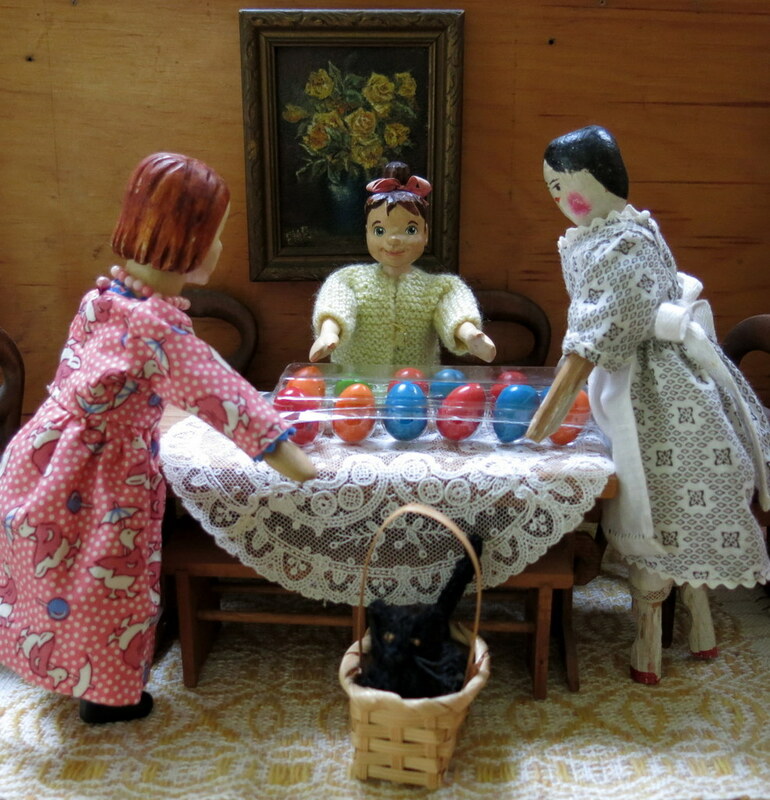 I think you may be right about jane’s Magical powers in the kitchen, and with such colourful eggs, she is sure to be planning something amazing! 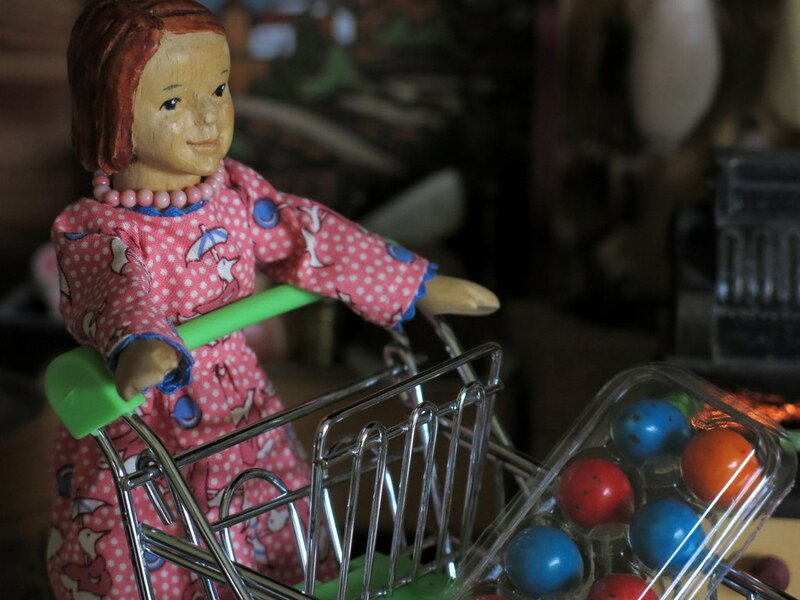 I am always amazed at the hitty sized treasures in your stories…like Aurelia’s shopping cart and hitty sized Easter eggs…but your sweet hittys and story lines are the true treasures. Aw, thanks very much…we do have fun things to play with…so they sometimes turn themselves into a story. The Quimper Hittys and I just like to play I guess! Thank you for another clear, colorful view of what transpires in the hidden corners of the QH household. As said above…true treasures. You are welcome! The hidden corners are some of the most entertaining corners, so we check on them frequently! Very cute! I love that Jane is pondering how her baking will turn out! Gracia certainly stocks a wide variety of food stuff! Love the photos and the story. Garcia does her best to get in seasonal supplies, her shop started as a butcher shop but has expanded and now stocks a variety of comestibles. The Quimper Hittys are grateful, as there aren’t any other options in the neighbourhood.